Heatwave conditions are prevailing in South India for some time now. Many parts of Tamil Nadu like Dharampuri, Tiruchirapalli, Salem, Madurai and Palayamkotti are observing day temperatures in the range of 40-41°C. These figures are 5 to 6 degrees above normal average. 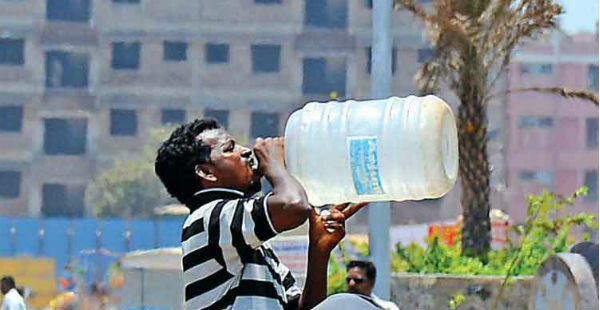 Isolated pockets of Rayalaseema and South Interior Karnataka are reeling under Heatwave- Tirupati, Bengaluru, Mysore and Mandya are some of the cities facing harsh conditions. Some relief is in sight for South Interior Karnataka in the next 24 hours. There are chances of scattered rains and thundershower in the area during this period. A trough extending from Coastal Andhra Pradesh up to Interior Tamil Nadu will be responsible for this activity. These rain however are only going to be light to very light. These rains will mainly happen during the later half of the day and will barely have any impact on the day temperatures. 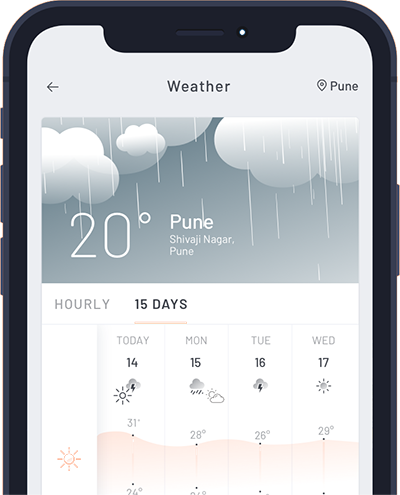 Thus, heatwave is here to stay for a while. After a long Winter, heat seems to be catching up pretty fast with South India. It's just the first week of March and several places in Tamil Nadu and Andhra Pradesh (Rayalaseema area) have begun reporting temperatures close to 40 degrees and beyond. Isolated parts of the coasts are also warming up with Chennai recording 35°C as day temperature on Wednesday. These temperatures are unusual for this time of the year and are at least 5 to 6 degrees above the normal mark. Such a condition is termed as ‘Heatwave’ in meteorological terms. Despite light rains and thundershowers in places like Coonoor, Kodaikanal and Salem in Tamil Nadu for the last few days, there is no significant relief from rising temperatures. Adding to the woes is the rising trend of night temperatures. The minimums at many places are settling between 25°C-26°C, which are 3 to 4 degrees above the normal average. According to meteorologists at Skymet, there is no relief in sight from the rising temperatures in the area for next three days at least. However, some short spells of rain can be observed during this period but they will not be of any help in terms of providing relief.